Artist Larissa Nod. Exhibition "UPDATE 18 I TOTALITÄR" / VBK, Berlin. The exhibition focuses on conceptual works on the very complex and up-to-date topic. Internationally, democratic conditions are experiencing a shock. Not only in Europe, but on almost every continent, our democratic values ​​are in danger. In addition, we live in a digital transformation that fundamentally changes our way of life through automation processes and digital communication. These changes are felt to be similarly groundbreaking and referred to as the epoch of the invention of printing, the Gutenberg Age. The exhibition TOTALITÄR critically deals with these changes. These include topics such as surveillance opportunities, social networks, digital warfare, binary stereotypes, the spread of violent fantasies, hate speech, exclusion and anonymity. 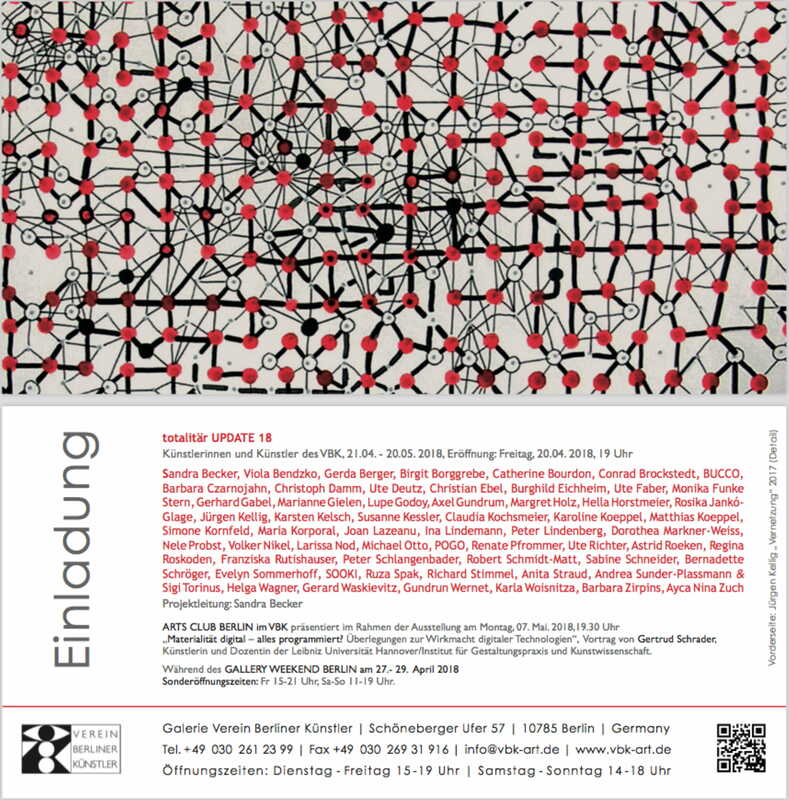 Various intermediate and border areas are aesthetically reflected in the 59 positions of the international artists of the association who live or work in Berlin in a radical and very different way.